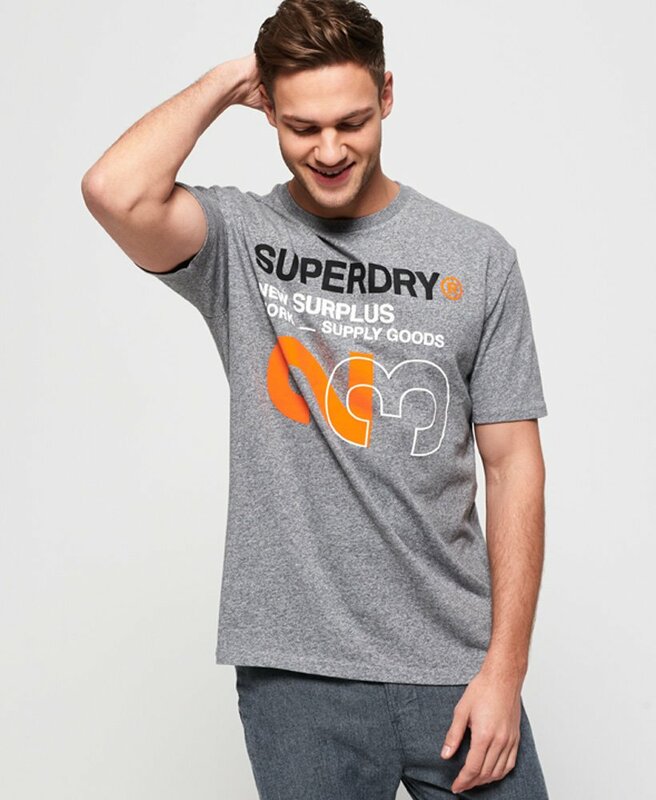 Superdry men's Surplus Goods oversized t-shirt. Inject some new into your t-shirt collection with the Surplus Goods oversized t-shirt. This soft touch t-shirt features a crew neck, short sleeves and large, textured Superdry logo graphic down the front. Completed with a Superdry logo badge above the hem, this t-shirt will look great styled with skinny jeans for a laid back, off-duty look.